You wouldn’t buy a house without having experts check out structural, mechanical and hidden components so that you learn what the general, current condition of the house is, and what you might expect in near term repairs. This is important with a house of any age because repairs arise without regard to age or appearance of a system or structure. So what about the well? Inspection of the well equipment and productivity are. And it doesn’t cost much more to do a full inspection, in addition to just a “yield test” or a “potability test”, either of which is sometimes the only requirement on a real estate transfer. A full inspection provides you with the best current information about your well, whether you are considering becoming the owner of the well, or if you have been the happy owner of the house for 10 years or more. Any inspection is an assessment of only the current status of the system, and cannot necessarily foretell of all future problems. A well inspection can, however, tell if various parts are working properly, or whether they may be near their end-of-life – valuable information to avoid unexpected emergencies. But the most important, and frequently overlooked piece of information about your well is its location – where the water comes into the house, and where the wellhead can be located on the property. We go out to inspect and repair many wells where owners – new and old – don’t know exactly where the well is located. And if it’s buried, knowing its location can save valuable time and money on repairs. We recommend that buried wells be raised above grade before water emergencies require access to the buried well cap and other parts in the well. Wells can also be hidden or disguised (intentionally or unintentionally) by man-made structures, including decorative hardscape items, or even decks and porches. It can also be hidden by planted shrubs, gardens or other natural overgrowth. All of these items make getting to, and assessing your wells, as well as making repairs, more difficult. And as a result, repairs are generally more expensive. Knowing their location and ensuring clear access is the best first step to an accurate assessment. During a snowstorm with more than 4 -5 inches of accumulation, knowing where the well is will surely assist us both when the snowfall is deep enough to hide the wellhead and well cap. Knowing the well’s location will ensure a smooth repair with limited effort to clear the snow. 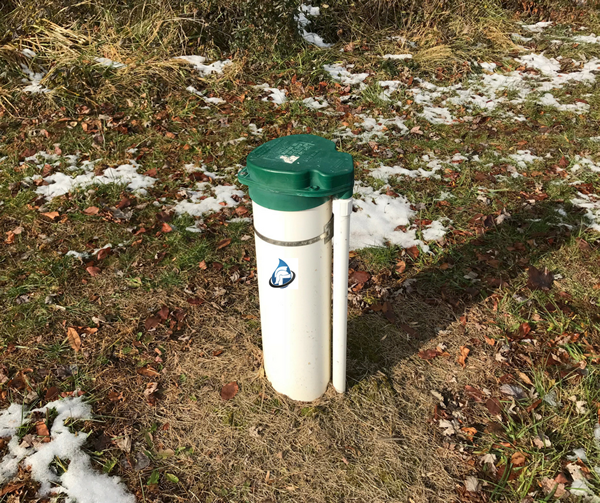 WelGard® once spent over $1,500 extra for a client who knew exactly where their well was located, but there was 3 feet of snow to be shoveled, for the 60 yards distance from the drive to the well, in order to just get to the well, and then be able to make the repair. We did what it takes to get that clients’ water supply running again! But knowing the exact location of that well was what made that repair possible, without having to wait for all of that snow to melt. Live by the motto – Planning Prevents Problems (PPP). And plan ahead with WelGard® Protection.